Our experienced associates put your business needs first, offering financial products that will provide you with the capital that you need to thrive. Our partners have over 50 years of combined banking and asset based lending experience in addition to 25 years of business consulting, restructuring, and M&A experience. Founder and Director of Hickory Capital. Scott is a skilled commercial lender with diverse lending experience ranging from large asset based lines of credit while at Transamerica Consumer Receivable Funding in the Southeast to small SBA micro loans while managing a private, non-profit lender in Northern MI. As a commercial banker for 13 years in a smaller, regional market he has wide-ranging lending experience with investment real estate, affordable housing, hospitality, transportation, manufacturing, wineries and distilleries, marinas, health care, specialty construction trades, and value added agriculture. He has closed commercial loans utilizing all the State of MI and federal loan enhancement programs including the MEDC, USDA, and the SBA 7(a) guaranty and 504 loan programs. Prior to entering the private sector, Scott served the country as an Officer in the US Army Signal Corp. Scott has a B.S. 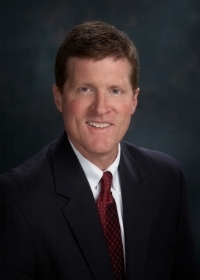 in Finance from Indiana University’s Kelley School of Business, he is Chairman of the Grand Traverse County Brownfield Redevelopment Authority, and active in school, sports, and community service organizations. He has previously served parks & recreation commissions, conservation organizations, and affordable housing rehabilitation groups. As a founding board member of Community Redevelopment, Inc. in Atlanta, GA, he is especially pleased that CRI, Inc. has grown and evolved into Toolbank U.S.A. and extended their services to charitable sectors in Baltimore, Charlotte, Chicago, Cincinnati, Houston, Phoenix, Portland, & Richmond. William Malek is a founding partner with the accounting firm of Michigan Business Advisors LLC. The firm takes a team approach with every client working within our organization pulling the expertise of our team members and with other professionals. MBA a consulting firm with special market niches for business valuations, Chapter 11 bankruptcy, and small business turn around. Additionally we offer creditor negotiations, lender relationship management, and expert testimony services in State and Federal Courts for divorce, partnership disputes, and fraud. Malek has more than twenty-five years experience working with small and medium sized closely held businesses throughout Michigan meeting all of their accounting, tax and consulting needs. These services also include marketing, financing, production, business management, and cash management. He specializes in business mergers and acquisitions, fraud analysis, and bankruptcy and business restructure.